Quality monitoring can help your contact center improve customer satisfaction, operate more efficiently, and improve associate performance. If your business has a call center or contact center, a quality monitoring system is a must. But what do you need to know to get started? Quality monitoring can be managed in many different ways, and for some, the variety of choice is confusing. For example, a business may implement quality control in their call center by hiring a third party service, building a system in house, or outsourcing a software solution. The right choice for your business depends on your specific requirements, resources, and strategic plan. Do small contact centers need quality monitoring? All businesses with a contact center should monitor quality. However, the form that this takes will vary. Many businesses find that the most effective monitoring options utilize a combination of call monitoring and recording and call statistics and data analysis. Both benefits are important to call center management. Call recording and monitoring is a must for managing associate performance and training. It identifies gaps in training, highlights areas for improvement, and is effective in identifying low performing associates that should be put on a performance improvement plan or exited from the organization. It allows management to understand the voice of the customer, and may provide some insights about consumer questions, interests, and frustrations. Monitoring quality also provides customer contact statistics and data that can be invaluable in managing the call center. Understanding factors like average call length, peak call times, call reasons, effectiveness of call center menu, and customer satisfaction (benchmarked via survey) will lead to better staffing decisions and more strategic direction for the call center. If your call center is small, it is important to find a quality monitoring system that can be flexible and grow with you. Look for a software solution that can be customized to your business needs. Now that you know why quality monitoring is so important, you may be wondering who to contact in order to get started. Whether you are in the Phoenix or Scottsdale AZ area or anywhere in the United States, consider the experts at Evaluate Quality for your call center quality monitoring needs. Evaluate Quality, founded by Sage Advantage, is based in the Scottsdale/Phoenix area and has helped many companies large and small throughout the US implement quality monitoring. Their experienced team can assist you to determine exactly what your organization needs and develop a solution. With Evaluate Quality, you can improve the quality of your call center by implementing thorough quality monitoring. 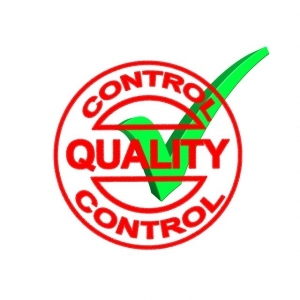 Contact Evaluate Quality now for a demonstration of their software.